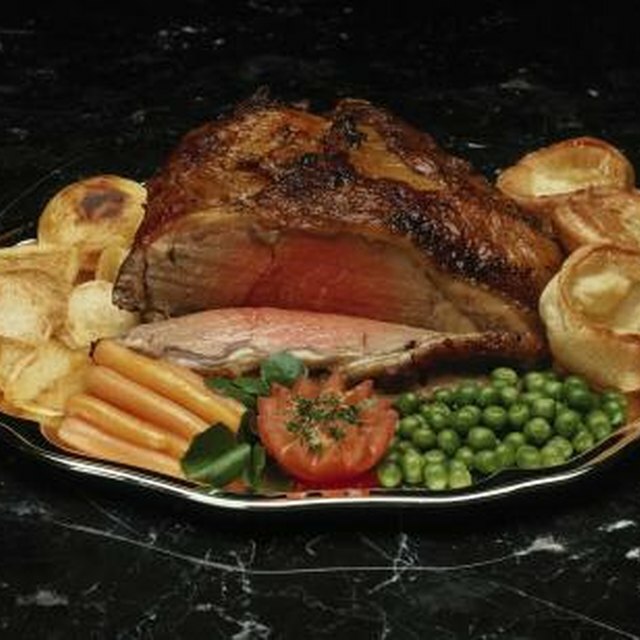 Beef rump roast is cut from the bottom round area and is a lean, but tough cut of meat. For best results, it should be cooked all day in the crock pot or slowly baked in the oven. The number of calories in a pound of beef rump roast is 988 per the library at Food.com, with 60 percent of the calories coming from fat. A slow-cooked rump roast that uses the drippings as au jus has 358 calories per 1/4 lb. of meat according to Allrecipes.com. Calories will vary based on serving size, method of cooking and whether or not you use the fat drippings. A recipe at Pillsbury.com for Rump Roast with Winter Vegetables uses rutabagas, cabbage and onion, and bakes the roast in the oven. 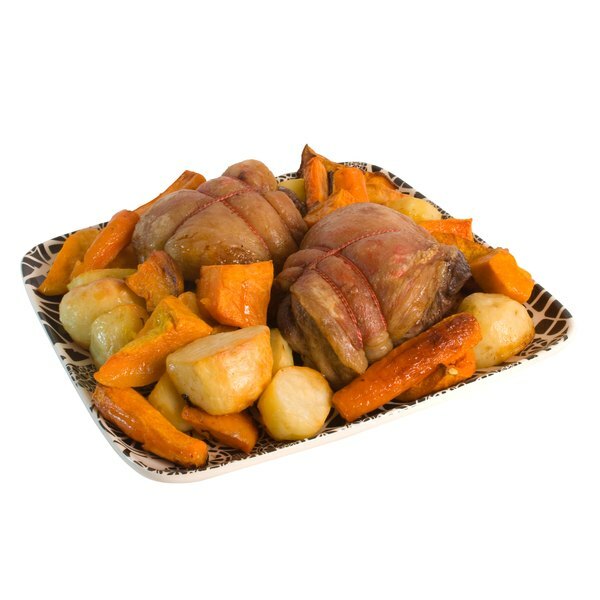 Calories are 310 per serving, but can be reduced if you skim the fat off before making the gravy and bake the roast on a rack above the drippings. Since about 60 percent of the calories from beef come from fat, trimming the fat before cooking will reduce the number of calories in the meal. Skim the fat before making gravy or au jus and buy lean cuts of beef with little marbling to keep calories to a minimum, according to MayoClinic.com.